Reduce error-prone, manual data entry and complete processes the same way, every time, resulting in more accurate, reliable outcomes. Automate virtually any activity that involves accessing and acting on information. Streamline the collection of important business data so you can stop draining your budget and resources. Infuse speed, intelligence, efficiency and quality into your business processes while freeing up your employees for more valuable work. Develop robotic automation processes to automatically run complex integrations and access any web data source without the need for costly and time-consuming coding. 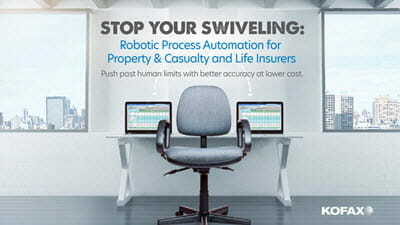 Efficiently complete automation projects that have been previously delayed due to more pressing needs. Deploy robotic process automation (RPA) tactically within a business unit to meet your specific goals for a part of or the entire process. 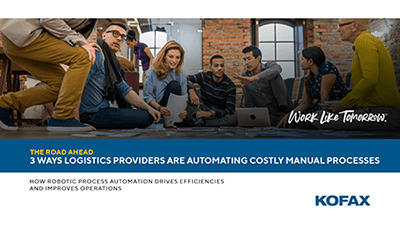 Run RPA as complementary to your business management (BPM) and case management platforms—using robots at various steps within a larger set of key business processes to further eliminate manual work. 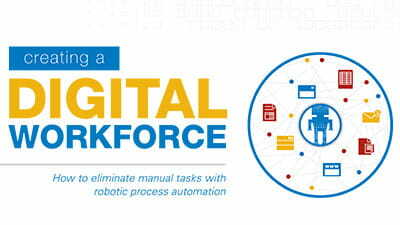 Proactively monitor and optimize the health of your robotic process automation platform with Kofax RPA. Monitor trends, ensure compliance, detect potential problems in real time and maximize the productivity of your digital workforce.